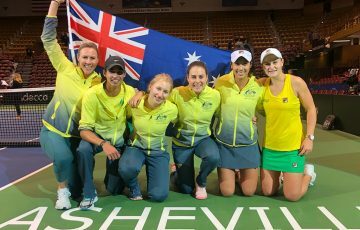 The Davis Cup by BNP Paribas World Group Play-off between Australia and Uzbekistan will be played at the picturesque Cottesloe Tennis Club in Western Australia from 12 to 14 September. 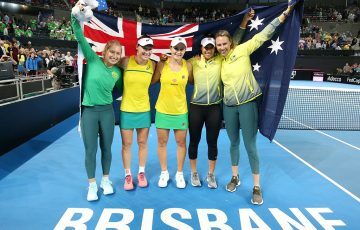 Australia’s Davis Cup captain Pat Rafter has selected grass as the surface and is excited to head to Perth for the crucial tie. 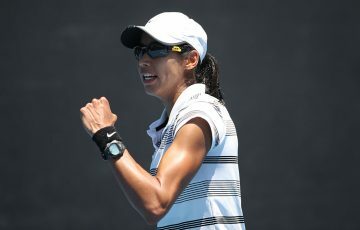 “It will be great to play Davis Cup against Uzbekistan on grass at the Cottesloe Tennis Club. 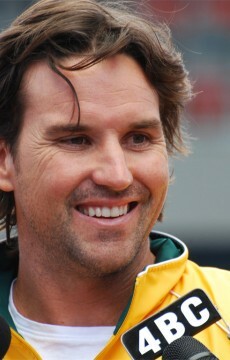 It’s such a beautiful location and it’s a bonus to be so close to the beach,” Pat Rafter said. Home ties are special in this competition and it’s terrific to play at different places around Australia. 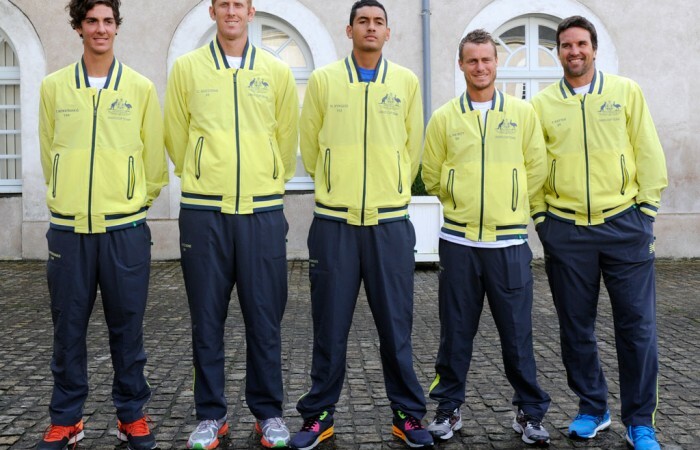 I know there are lots of keen tennis fans in WA and no doubt they’ll want to come out and support the boys. We’ll do everything we can to get over the line to stay in the World Group. “We are very excited to welcome this important Davis Cup tie to the Cottesloe Tennis Club,” Club President David Chadwick said today. “This will be a tremendous opportunity to showcase our great club and I’d like to thank the WA government for their support in bringing the event to our state. 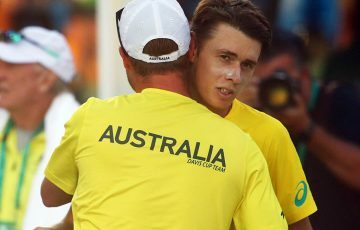 Australia lost a tough first-round tie to current Davis Cup powerhouse France in February and must win the play-off to retain a position in the elite 16-nation World Group. This will be the third time Australia has played Uzbekistan, with Australia holding a 2-0 advantage. 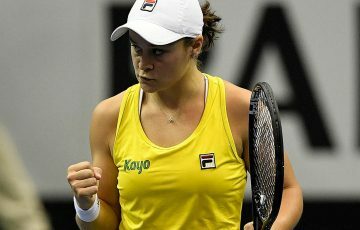 The most recent meeting between the nations was in April 2013 in the remote town of Namangan in Uzbekistan, where Bernard Tomic won both singles matches and Lleyton Hewitt teamed with WA’s Matt Ebden to win the doubles. 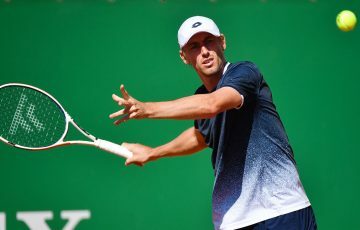 Uzbekistan’s top player is world No.49 Denis Istomin who reached the quarterfinals in Sydney and the third round of the Australian Open this year. Nations are required to name the teams 10 days out from the event. 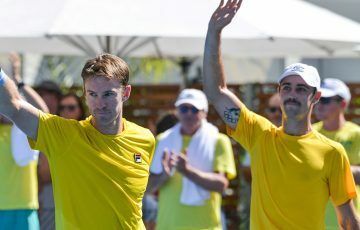 This event signals a Davis Cup return to Perth for the first time since 2004 when Lleyton Hewitt, Wayne Arthurs and Todd Woodbridge defeated Morocco 4-1 at Royal King’s Park. Tickets will be available in July. Further details to be announced soon.